Will Prescription Drug Prices Be a Big Issue for 2016 Contenders? Washington, DC, April 23, 2015 ― The National Journal’s Dylan Scott reports that headlines consistently warn that prices for prescription drugs are spiking higher and higher. Half of Americans are taking them regularly. Obamacare touched most corners of the health care industry, but didn’t address drug costs specifically. Now Hillary Clinton is signaling that prescription-drug affordability will be a priority in her campaign. According to MSNBC, while campaigning last week in Iowa, Mrs. Clinton said, “We need to drive a harder bargain negotiating with drug companies about the costs of drugs.” She noted the “height of ironies” that medications developed in the United States often are sold more cheaply overseas. 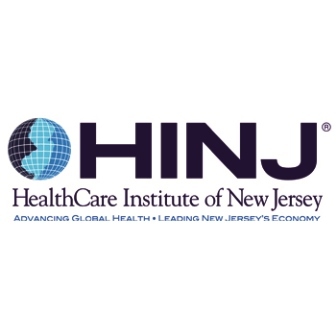 Cherry Hill, NJ, April 22, 2015 ― The Courier-Post on April 16 published an op-ed authored by Debbie Hart, President and CEO of BioNJ, and Dean J. Paranicas, President and Chief Executive Officer of the HealthCare Institute of New Jersey (HINJ). New Jersey is an AIDS “hotspot,” according to CBS News. The statistics show why. In 2012, nearly 2,000 state residents were diagnosed with HIV/AIDS. Roughly 400 people died from the disease. Trenton, NJ, April 22, 2015 ― New Jersey Health Commissioner Mary E. O’Dowd recognized Medical Laboratory Professionals Week, April 19-25, by commending New Jersey’s laboratory professionals are an essential part of every aspect of healthcare, including medical diagnosis and public health prevention. Newark, NJ, April 22, 2015 ― Kathleen O’Brien today reports in The Star-Ledger that a large study released Tuesday in JAMA, the Journal of the American Medical Association, finds no link between autism and childhood vaccines, even for those with an older sibling who has autism. Washington, DC, April 21, 2015 ― Pharmaceutical Research and Manufacturers of America’s (PhRMA) member companies invested an estimated $51.2 billion last year in the research and development (R&D) of new innovative treatments and cures. The figure represents the majority of all biopharmaceutical R&D spending — both public and private — in the United States. 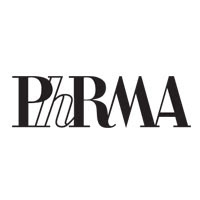 The new R&D numbers, the result of a recent survey of PhRMA member companies, are highlighted in the newly released PhRMA 2015 Biopharmaceutical Research Industry Profile as well as a new industry chart pack, Biopharmaceuticals in Perspective. Washington, DC, April 21, 2015 ― Brady Dennis today reports in The Washington Post that fake and substandard drugs are responsible for tens of thousands of deaths around the globe each year, and the persistent lack of reliable medicines in poor countries threatens to roll back decades of efforts to combat malaria, tuberculosis, HIV/AIDS and other conditions, researchers said Monday. Woodland Park, NJ, April 20, 2015 ― What can New Jersey — once the home of storied inventors like Thomas Edison and the Bell and Sarnoff labs — do to get its innovation mojo back? 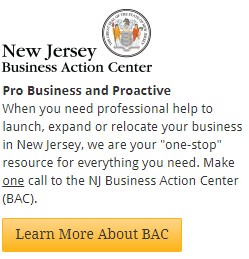 In a story published in yesterday’s Record, Hugh Morley reported that that question held center stage at a forum of business and civic leaders in Newark last week that outlined a way to jump-start New Jersey’s struggling economy by tapping into the traits that once made the state a thriving, innovation powerhouse. 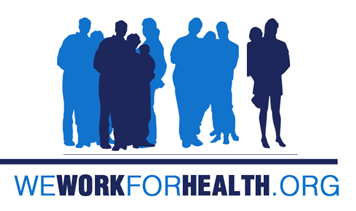 Washington, DC, April 20, 2015 ― The Pharmaceutical Research and Manufacturers of America (PhRMA) on April 17 honored 13 employees from 12 biopharmaceutical companies as “We Work For Health Champions” for their extraordinary efforts in policy advocacy and community service. Washington, DC, April 19, 2015 ― The Biotechnology Industry Organization (BIO) honored U.S. Representative Leonard Lance (R-NJ-7) as a Legislator of the Year for 2015. Representative Lance received the award in conjunction with BIO’s Legislative Day Fly-In, which was held here last week.